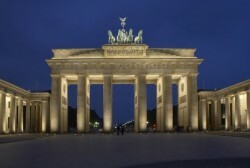 The planned liquidation of land reserves in Berlin by the Austrian property company CA Immo is gathering pace. In addition to the transactions worth around € 25.2m reported on 16 July, further sales with an approximate volume of € 24m have been contractually agreed. The Groth Group is investing in a second parcel of land in Berlin, and another investor has come forward for a plot of land in the Berlin district of Europacity.